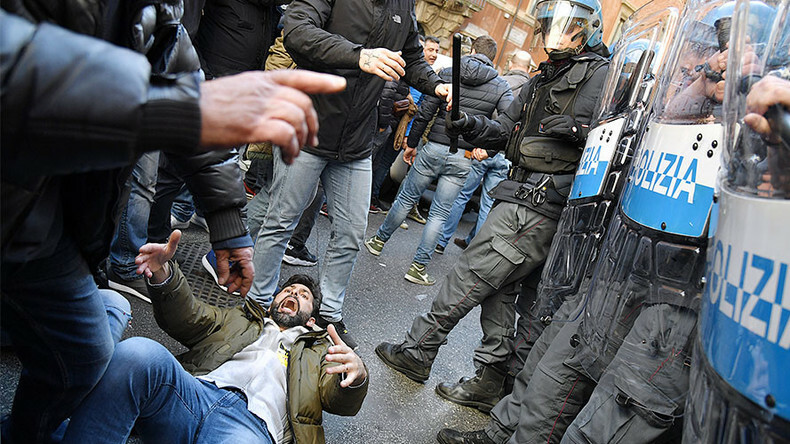 Clashes have broken out at a protest in Rome, as Italian taxi drivers took to the streets to protest as the Italian Chamber of Deputies votes on the ‘Uber amendment,’ which was passed by the Italian Senate earlier in February. The amendment would see an easing of regulations for taxi companies, a move which protesters see as a benefit for app-based companies like Uber. The protest is a culmination of a week-long strike by the taxi drivers, who say that the new law would give Uber an unfair advantage over traditional, licensed taxi cabs. The strike has affected transport across the country as tourists at airports in Rome, Milan and Turin have been left stranded, while the smooth running of Milan Fashion Week, due to start on Wednesday, has been thrown into question. 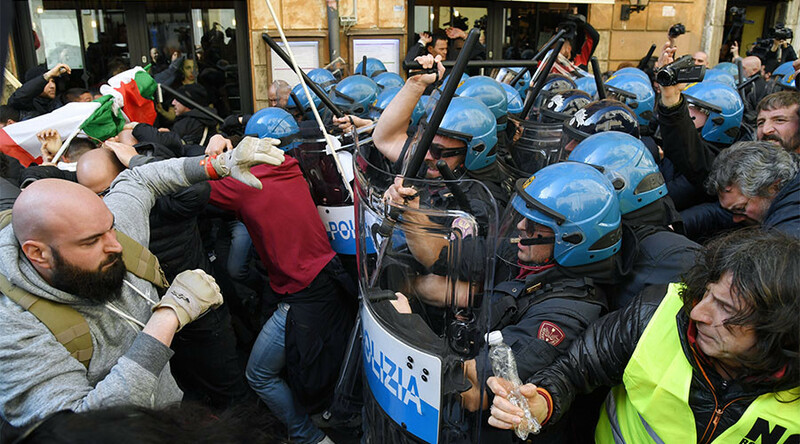 Riot police have been dispatched to keep the peace at the protest in Rome. The civil action is supported by the city’s mayor, Virginia Raggi of the 5-Star Movement. Raggi visited the protest on Tuesday. The riot officers were forced to move on the crowd as angry protesters hurled glass bottles and other missiles at police, who said they "had to react to a premeditated attack," according to statement cited by Ansa. As the mob was dispersed, the retreating protesters turned over tables and chairs at local restaurants while tourists looked on in fear. Several streets in the area have been sealed off, as have the Piazza Montecitorio and the Piazza Colonna. 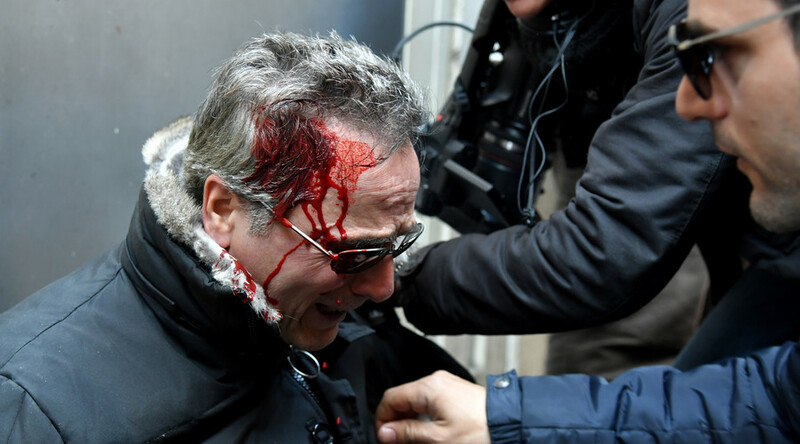 Several people have been injured in the fights between the police and the protesters, according to the photos from the scene. Over the course of this week there’s also been some reports of aggression towards Uber drivers, with eggs hurled at their cars, as well as drivers who refused to take part in the strike. As well as taxi drivers, local street vendors and reportedly some far-right figures have also joined in the protest. 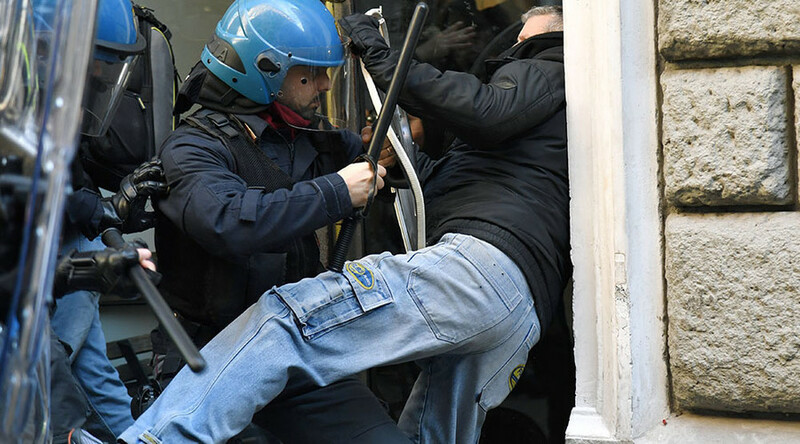 The demonstrators attempted to march on the headquarters of the Democratic Party, formerly led by ex-Prime Minister Matteo Renzi, whom they hold responsible for the bill, but were held back by police. In the afternoon it was announced that the Minister of Transport, Graziano Delrio, is due to meet with union representatives to attempt to resolve the situation. 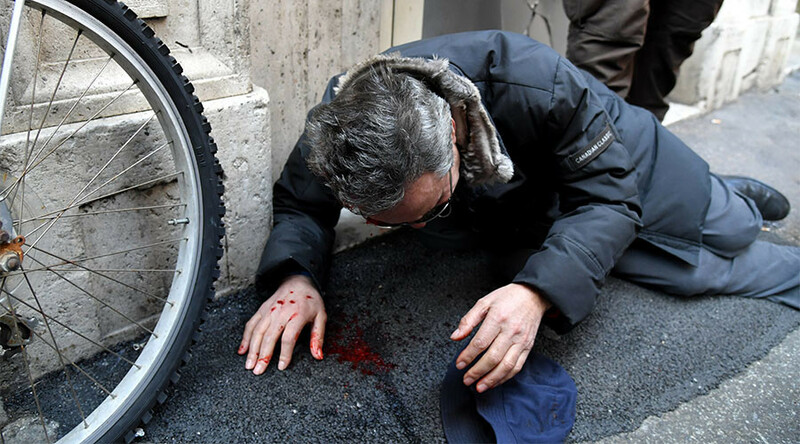 “We can work together if there are no violence or threats,” he said, as quoted by Il Sole 24 Ore. “This situation has been unregulated for a long time. There is absolutely a need for guarantees, firstly for citizens' rights and the other on the rights of those who have invested in their own company, like taxi drivers."